That's a lot of Login credentials fetch by a single hacker. 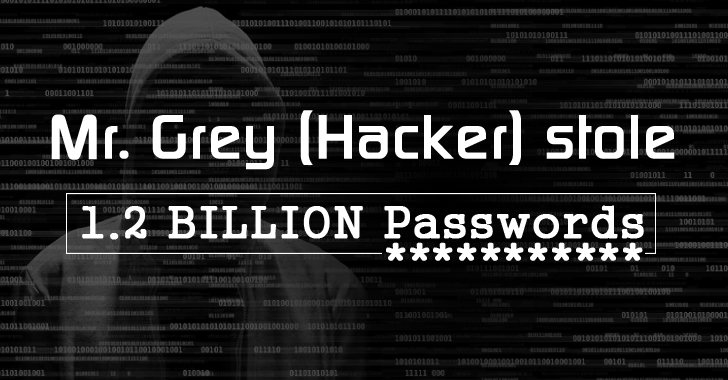 The FBI believes a single hacker who goes by the moniker Mr.Grey has stolen login credentials for over 1.2 Billion online accounts – apparently the biggest heist of log-in credentials the FBI has investigated thus far. Yeah, that's not Fifty, but 1.2 Billion Shades of Grey. The cyber security firm 'Hold Security' initially reported the theft of the credentials last year. It found out that Russian hacking group CyberVor has stolen 1.2 Billion login details and an additional 500 Million email accounts. "To the best of our knowledge, [CyberVor] mostly focused on stealing credentials, eventually ending up with the largest cache of stolen personal [data], totalling over 1.2 Billion unique sets of emails and passwords," Hold Security said in August last year. Alex Holden, chief information security officer at Hold Security, believes those posts on online hacking forum prove that the hacker, "mr.grey" or "mistergrey", has access to a large database of stolen online credentials. However, it's still unclear if Mr.Grey obtained all the login credentials by himself alone, or if Mr.Grey is just a single hacker or a group of hackers operating under one name. Unfortunately, not much information is known about Mr.Grey's operations, but we will update soon if the FBI releases any new info.